The Rajiv Gandhi Grameen Vidyutikaran Yojana was launched during 10th five year plan and continued in 11th plan. The Yojana aims at: 1.Electrifying all villages and habitation as per revised definition. 2.Providing access to electricity to all rural households. 3.Providing electricity connection to Below Poverty Line(BPL) households free of cost service connection with single light point. 90% of fund is provided as grant by Govt. of India and 10% as loan by Rural Electrification Corporation (REC) to the state government. Eligibility criteria : Below Poverty Line(BPL) households of village(s) not electrified so far. The growth rate of agriculture and allied sectors reached the level of 6.6% for 2010-11 which is the highest achieved growth rate during the last six years. The Government of India has launched several schemes in consultation with States to increase growth of agriculture sector. Some of the major Schemes are the Rashtriya Krishi Vikas Yojana (RKVY), National Food Security Mission (NFSM), Development and Strengthening of Infrastructure Facilities for Production and Distribution of Quality Seed, National Horticulture Mission (NHM), Integrated Scheme of Oilseeds, Pulses, Oil Palm and Maize (ISOPOM) etc. government has approved creation of National Optical Fibre Network (NOFN) for providing broadband connectivity of all panchayats. The plan is to extend the existing optical fibre network initially upto panchayats by utilizing the Universal Services Obligation Fund (USOF) and creating an institutional mechanism for management and operation of the NOFN for ensuring non discriminatory access to all service providers. Ministry of Panchayati Raj had prepared a Draft Nyaya Panchayat Bill to provide for the establishment of Nyaya Panchayats, at the level of every Gram Panchayat or a cluster of Gram Panchayats, for providing a system of fair and speedy justice, both civil and criminal, to the citizens at their doorsteps. The draft Nyaya Panchayat Bill was forwarded to the Ministry of Law and Justice for their inputs. However, that Ministry has raised a number of points including the basic question of Constitutional validity of bringing in the proposed legislation. The Ministry of New and Renewable Energy has a scheme to support the establishment of Akshay Urja Shops in various districts in the country with the objective to create a network of sales and service outlets for renewable energy systems and devices. The programme is being implemented through State Nodal Agencies (SNAs). The programme has a provision of one shop in each district. Private entrepreneurs, reputed NGOs, SNAs, Manufacturing Associations are eligible for establishment of Shops subject to prescribed terms and conditions laid under the programme. The closing film of the 42nd International Film Festival of India ‘The Lady’ is the extraordinary story of Aung San Suu Kyi and her husband, Michael Aris. It is also the story of the peaceful quest of the woman who is at the core of Burma’s democracy movement. Despite distance, long separations, and a dangerously hostile regime, their love endures until the very end. It is set against a backdrop of political turmoil. The proposed National Urban Health Mission (NUHM) will address the health care needs of urban dwellers including urban poor. It will also include institutional arrangements for its implementation, broad norms, financial resource need, appraisal and approval process, role of community organizations, defining standards for facilities and mechanism for engaging local Health providers. 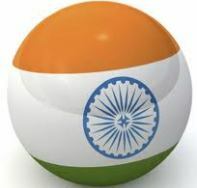 India’s external debt stock stood at US$ 316.9 billion at end-June 2011. The increase in external debt to US$ 316.9 billion at end-June 2011 from US$ 306.5 billion at end-March 2011 was largely on account of rise in commercial borrowings and short-term trade credits. Out of the total external debt of US$ 316.9 billion, long term external debt stood at US$ 248.4 billion while short term external debt accounted for US$ 68.5 billion. The Ministry of Micro, Small and Medium Enterprises has been implementing the Product Development, Design Intervention and Packaging (PRODIP) Scheme since 2002 through the Khadi and Village Industries Commission (KVIC) with a view to improve the quality and marketability of khadi and village industries products and also to diversify into new products. PRODIP Scheme extends financial assistance up to ` 2 lakh per institution per project or 75 per cent of the project cost, whichever is less. In case of individuals, the quantum of assistance is up to ` 1 lakh per project or 75 per cent of the project cost, whichever is less.